Athens (AFP) - Greece's culture ministry has announced plans to open to visitors some of the country's vast heritage of ancient shipwrecks, aiming to boost the economies of nearby islands. "The aim is to open important underwater monuments to visitors in the next two years," the ministry said in a statement. "Developing underwater archaeology is a self-evident goal," deputy culture minister Costas Stratis told a weekend conference on the Aegean island of Alonissos. Alonissos is where the first such shipwreck site will be developed -- a 5th-century BC merchant ship named the Peristera, after the uninhabited islet where it was first spotted by a fisherman some 40 years ago. 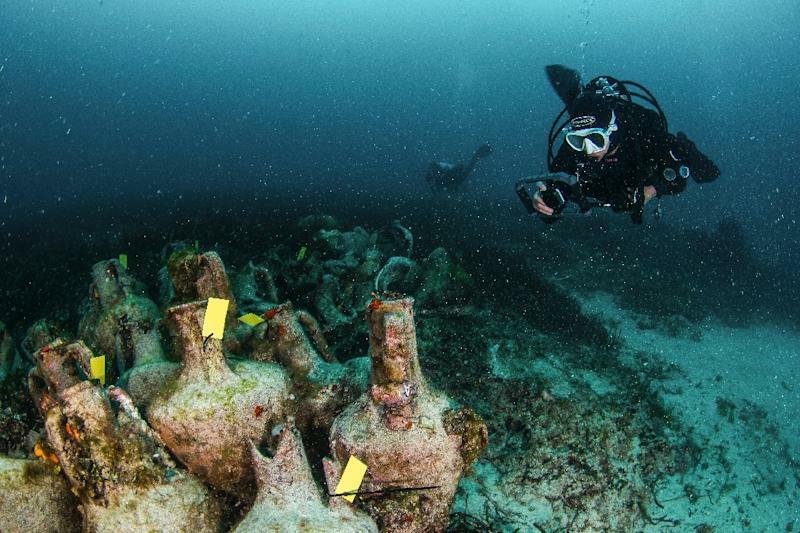 "The Peristera shipwreck, which contains 3,000 (wine) amphorae, is perhaps the most important of the Classical Era," Stratis said. According to Greek archaeologists, the discovery demonstrates a knowledge of shipbuilding previously thought non-existant before the Roman era some four centuries later. Greek waters hold scores of ancient shipwrecks -- around 60 alone are known to be found near the Aegean islet of Fourni according to the culture ministry. But fears of looting and organisational problems have for decades prevented the Greek culture ministry from opening the sites to visitors. Stratis on Sunday said the culture ministry had now proposed to parliament a revised law to enable the operation of undersea sites in the Pagasetic Gulf and the Sporades island group, which includes Alonissos.